The three men arrested by Osun State Police Command, over the kidnap and death of Dhoni are Timileyin, a four hundred level student of Osun State University. 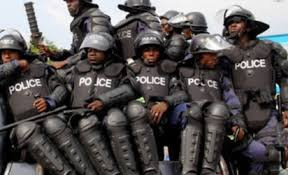 According to report, Sakariyau Abdulrafiu (19), Ibrahim Ayuba (24) and Yusuf Aliu (18) were arrested in connection to the crime and they confessed to have killed Timileyin with a pestle, dismembered and subsequently roasted his cotpse, with the purpose of using the parts for ritual purposes. Timiliyen, a 400 level student of Microbiogy of Uniosun was declared missing last month, his decomposing remains was later found in a bush today.